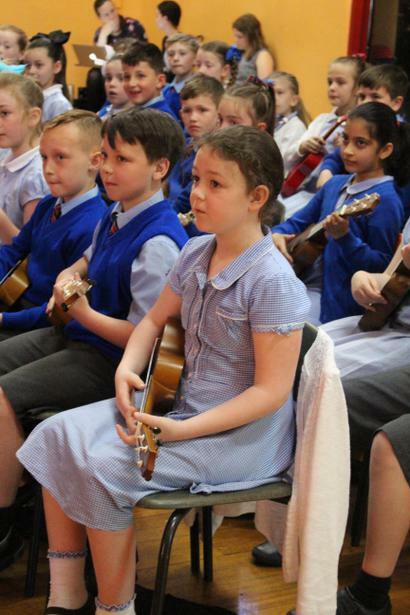 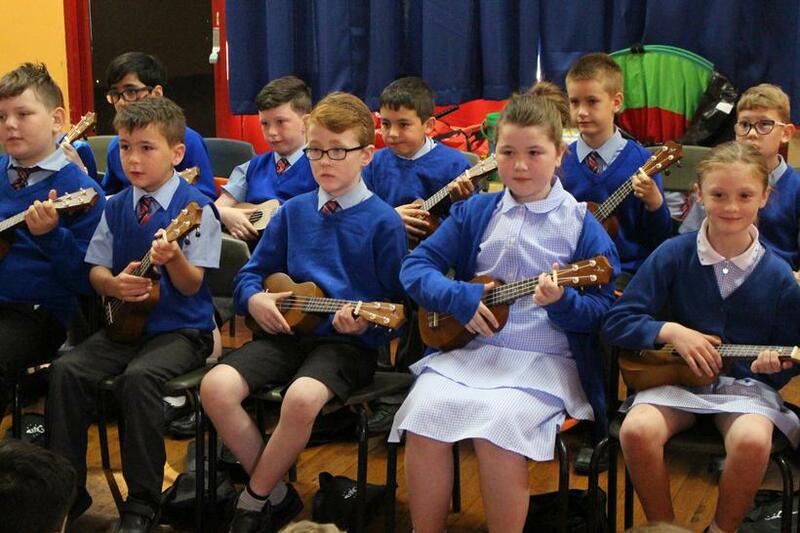 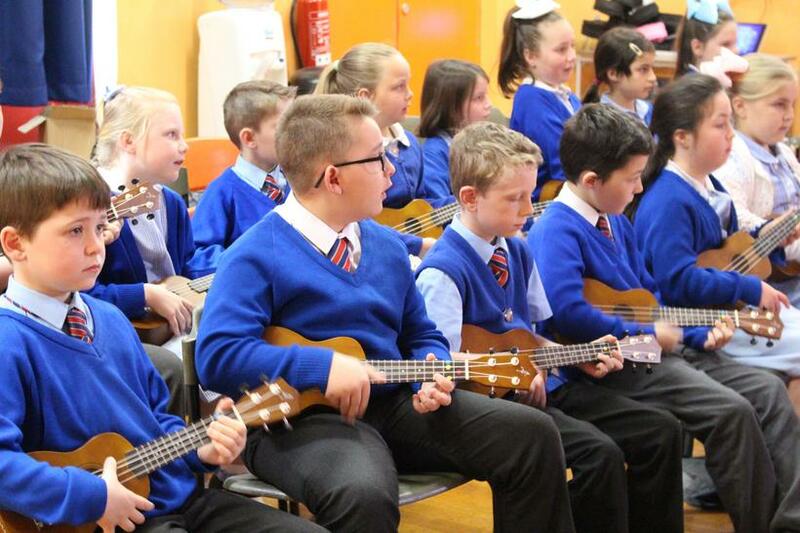 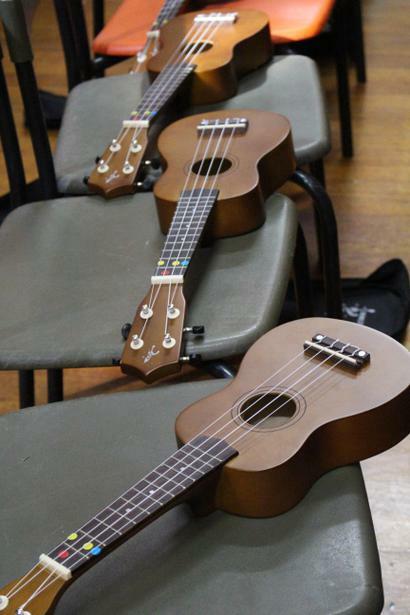 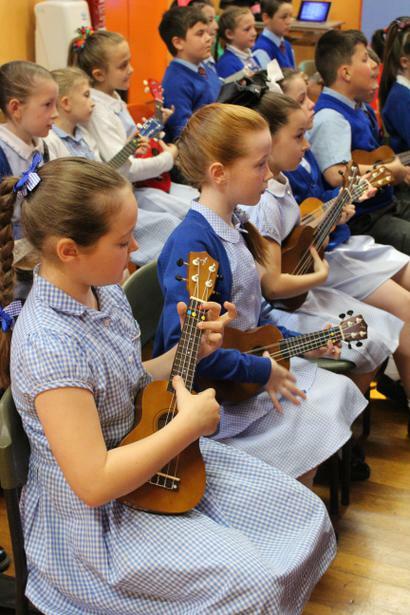 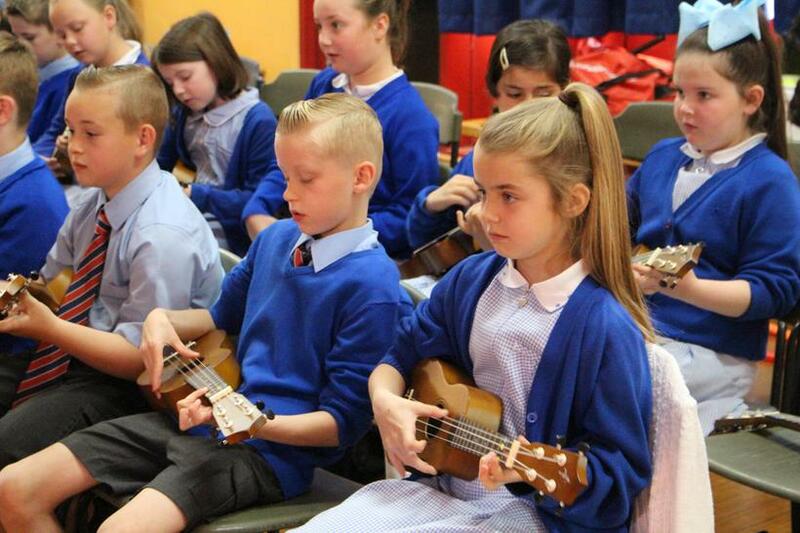 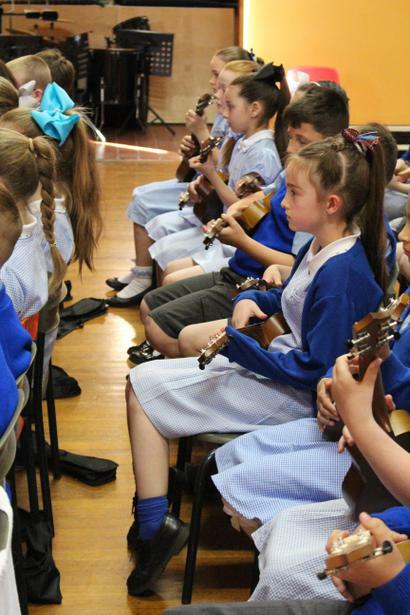 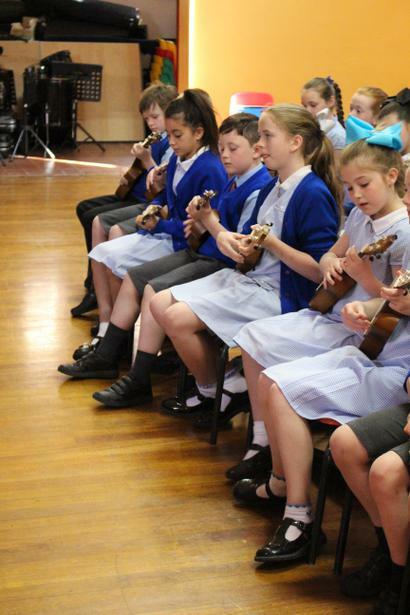 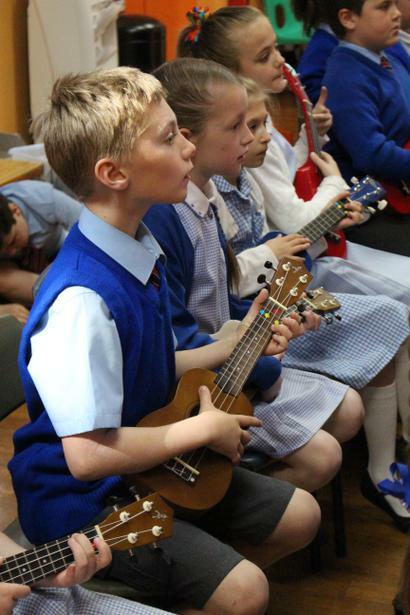 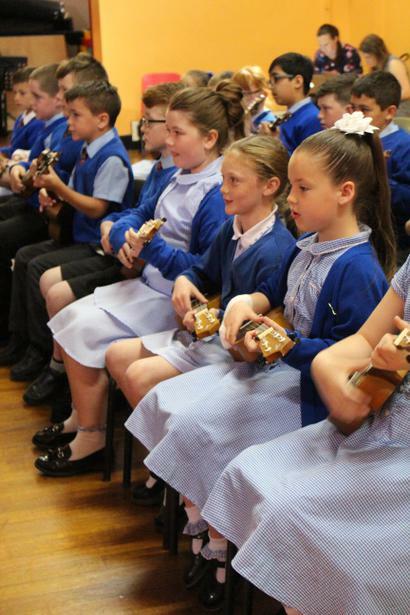 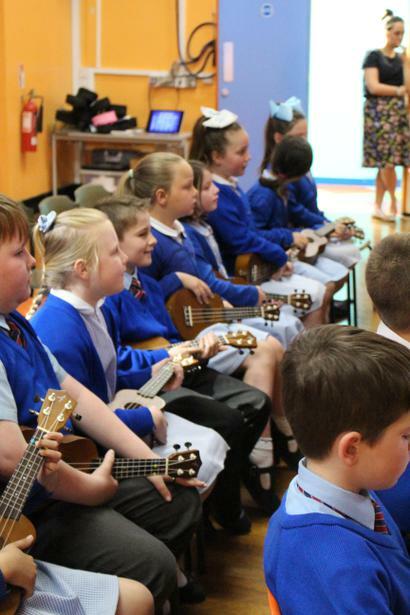 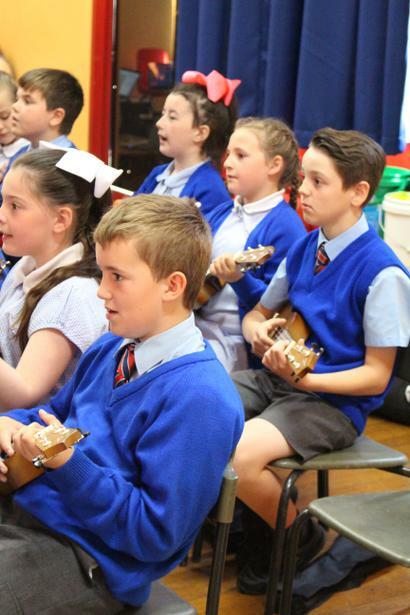 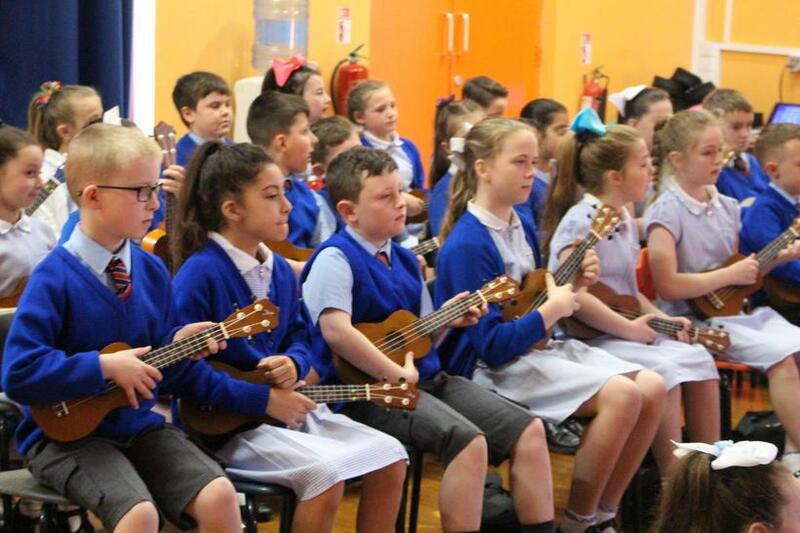 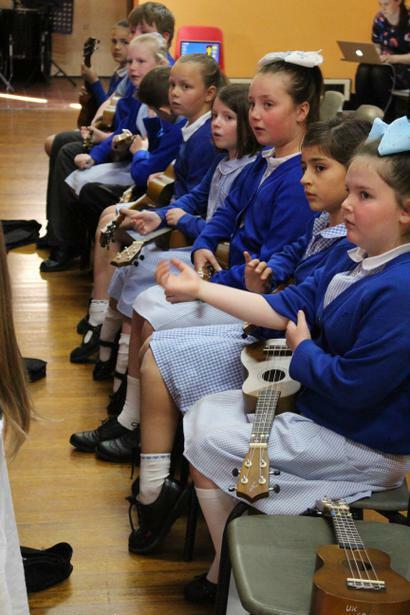 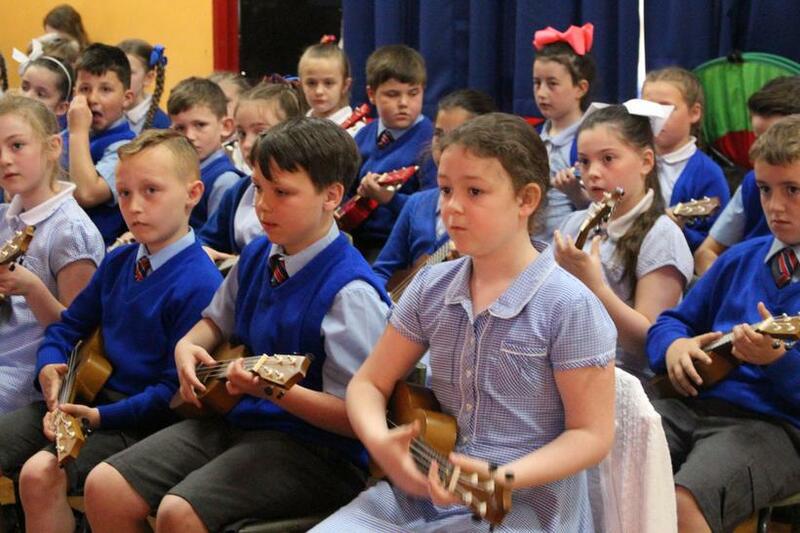 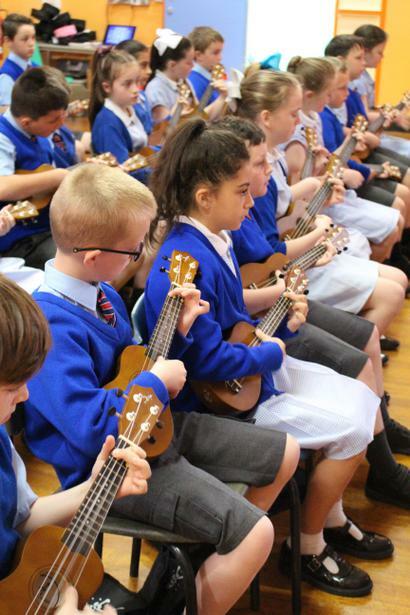 This year, Year 4 have been learning to play the ukulele with the help of Mrs Bowyer. 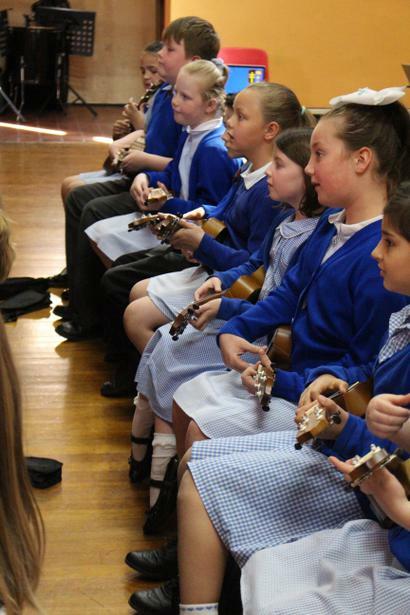 They have been focussing on learning a variety of different chords and strumming patterns. 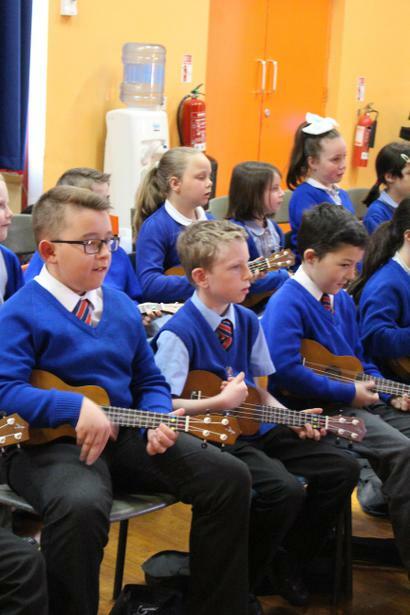 They have also started to become composers and write their own chord progressions and strumming patterns to create their very own pieces of music! 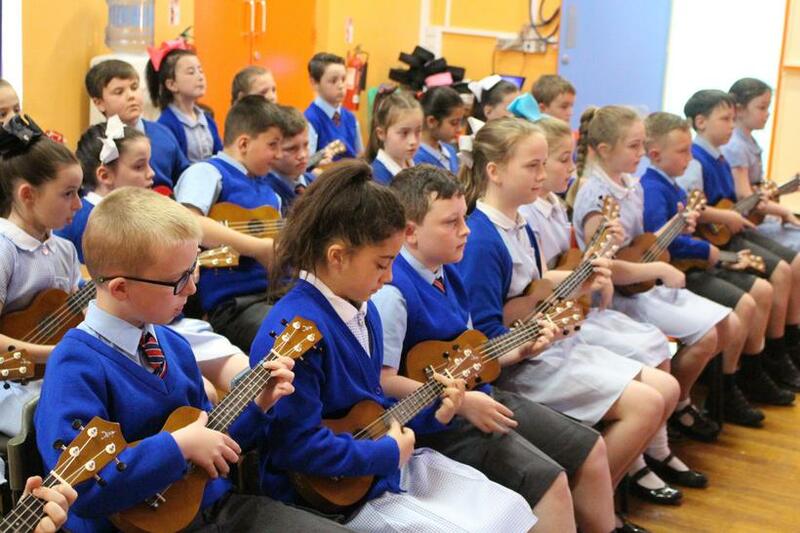 All of this hard work has been in preparation for their performance which will go towards them achieving their Arts Mark award. 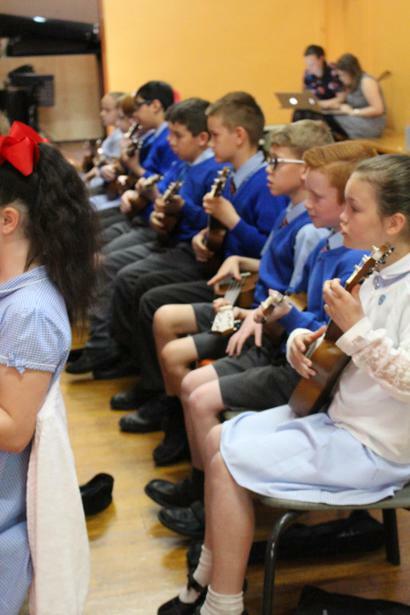 The audience consisted of the whole of Year 3 and 4. 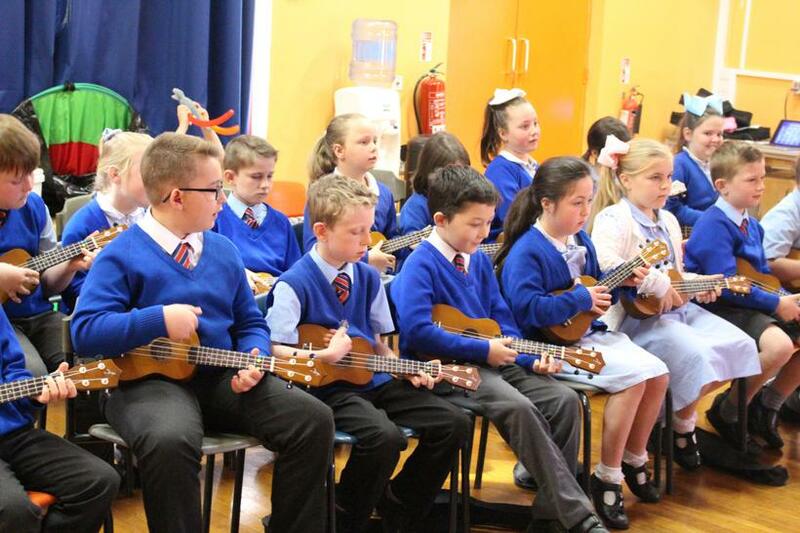 As well as Mrs Ainscough and Mr Reidel! 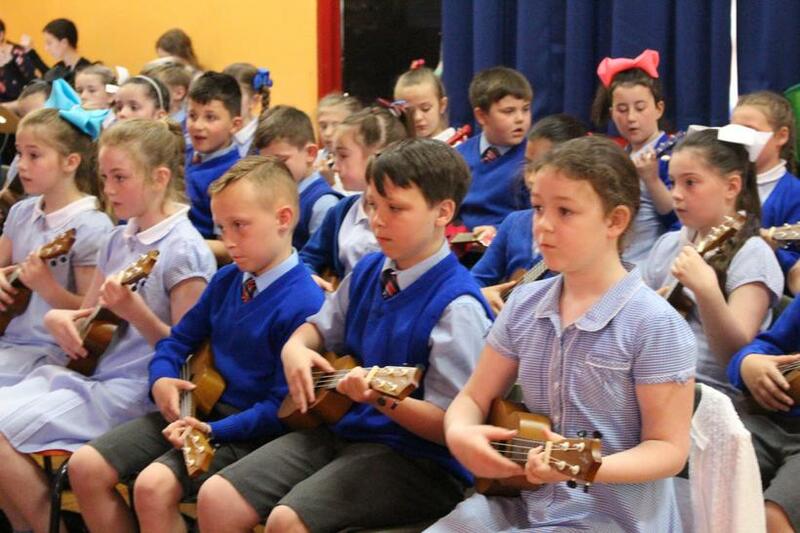 The performance started with Class 5 playing their composition and then the song "My Dog has Fleas". 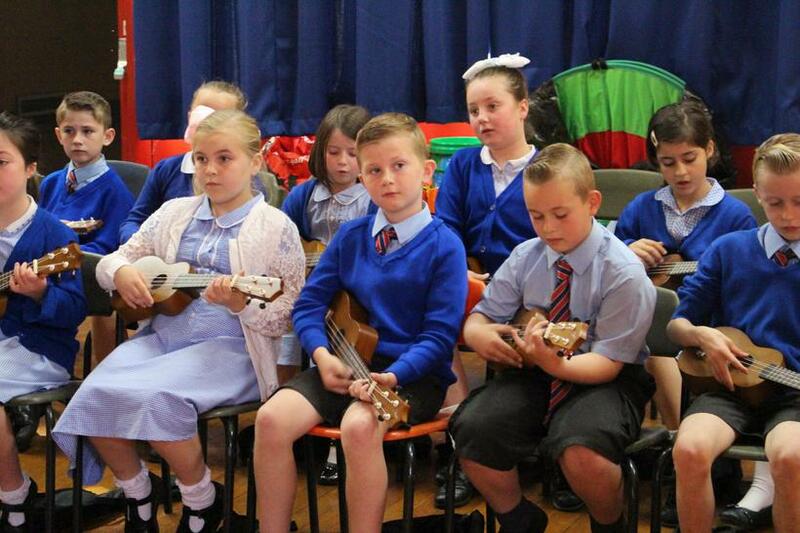 Next came Class 6 with their performance and the song "Mango Walk". 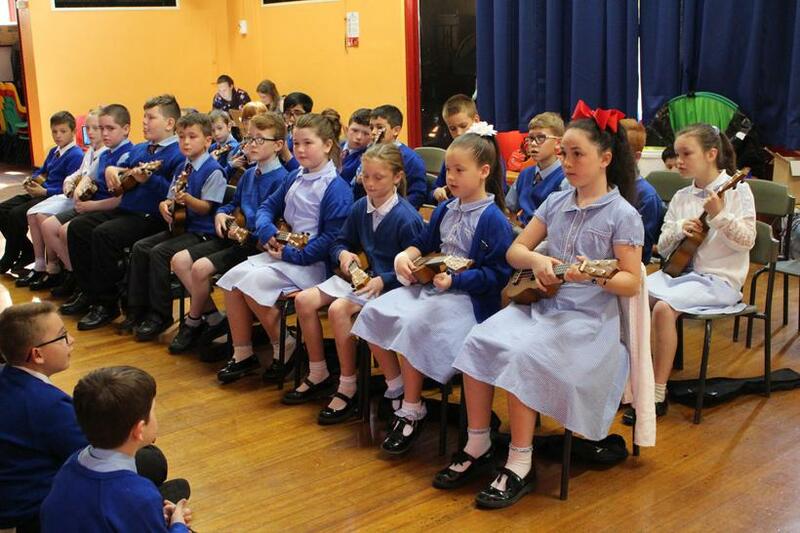 Then Class 7 with their composition and the song "Sur le Pont D'Avignon"
Finally, Class 8 with their composition and Year 4's favourite song "One Man Went to Mow". 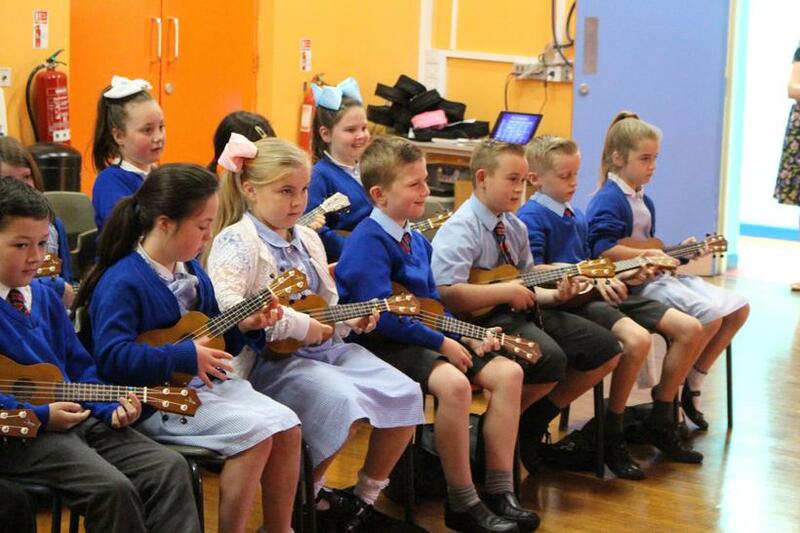 The performance was so successful that Mrs Ainscough even asked for an encore!! 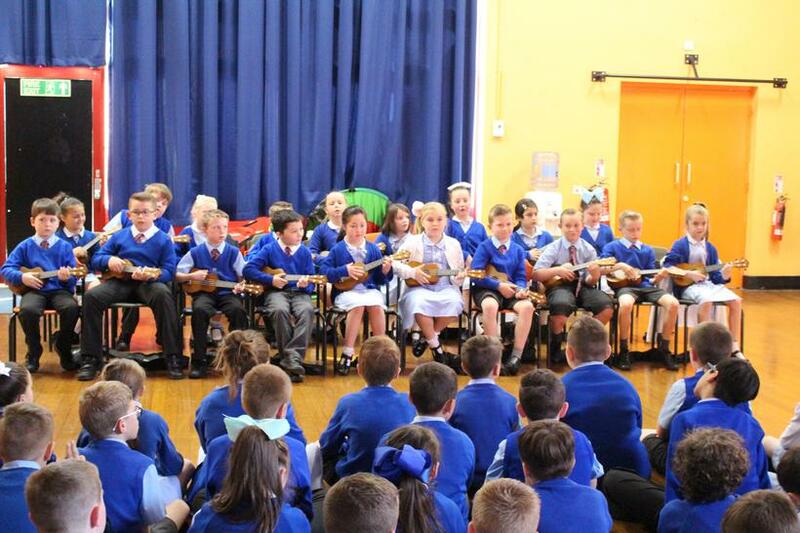 A special thanks must go to Mrs Bowyer for working so hard to teach Year 4 this year and prepare them for this concert!